Tim Sweeney is somewhat of a legend among game programmers, being the founder of Epic Games and creator of the Unreal Engine. As the controlling shareholder of Epic Games, his net worth dramatically increased thanks to the global success of Fortnite and is now estimated by Bloomberg to be around $7.18 billion, while the company itself is estimated to be worth $15 billion. Tim Sweeney and Epic Games as a whole haven’t been idle with all this cash lying around. They’re doubling down the investments on their ever-so-popular Unreal Engine, of course, but they’ve also ambitiously launched the gauntlet to Valve and its dominant Steam platform with the brand new Epic Games Store. The big promise made to game developers is that 88% of the proceeds will go into their pockets, compared to 70% on Steam due to Valve’s 30% cut that many developers feel to be just too high in 2019. But plenty of gamers have voiced their discontent with Epic’s decision to ‘buy’ exclusives (such as Metro Exodus) to entice both game developers and gamers to migrate to its store. Tim Sweeney replied via his Twitter account that it is a legitimate way to compete, particularly since it can’t be done through cheaper pricing alone since Valve has ‘veto power’ on that. He also strongly maintained that the increased competition in the market fostered by the Epic Games Store initiative will ultimately benefit everyone. The whole thesis here is that stores should be free to compete, and gamers and developers should be free to use stores of their choosing, which is exactly what is happening here today. Surely competition between stores is healthy, especially when it results in significant savings for developers (30% vs 12%), which can then be reinvested in future games or passed on to gamers. Love us or hate us, we are certainly fostering economic competition between stores, out of a firm belief that this will ultimately benefit all developers and gamers. A store can only succeed in overturning the 30% fee precedent if it provides solid reasons for everyone to use it, developers and gamers alike. Free game giveaways, better prices, and exclusives are the big things here. Compare to how Amazon Prime Video, Netflix, HBO, and others fund unique content to provide reasons to use their services. If everyone offers the same exact selection, then the most established store typically stays dominant for decades. Is there a consumer right to buy any product in any store of your choosing? Do we have the right to buy a Toyota at a Ford dealer? A Whopper at McDonald’s? No; stores compete on selection as well as price and features. I’ve been following this very closely and understand that people who prefer to buy games on Steam prefer not to deal with a second store. But developers will never escape Steam’s 300% to 500% markup on operating costs if all games are on Steam at equal prices. Tim Sweeney then addressed the personal accusations of hypocrisy received by those who remembered his rants against Microsoft’s Windows Store. There I am criticizing Microsoft “curtailing users’ freedom to install full-featured PC software, and subverting the rights of developers and publishers to maintain a direct relationship with their customers”, not exclusives. No, I was criticizing Microsoft’s intentions to block competing stores from Windows. Tim Sweeney also talked about what’s coming to the Epic Games Store over time, such as offline play and additional features that are already on Steam like user reviews. These will be opt-in to avoid review bombing issues. We’re investing in lots of interesting things over different time scales, and the longer-term ones will have a lot more opportunity for polish as we build more store and online feature and have longer time spans to collaborate with developers. We’re working to make the Epic Games store work offline. Launching online-only was the result of our decision to use a dynamic web based framework to build the store, with the unfortunate side effect that supporting offline requires further work. [on Steam] That’s a lot of features, but all of these features together likely don’t cost more than a fraction of a percent to operate. We’re working to release them. Because they’re not done. Keep in mind that most developers make less than a 30% profit margin, and are decidedly not okay with stores making more profit from their own games than they do. What do you think about this whole situation? Vote in the poll and leave a comment below! 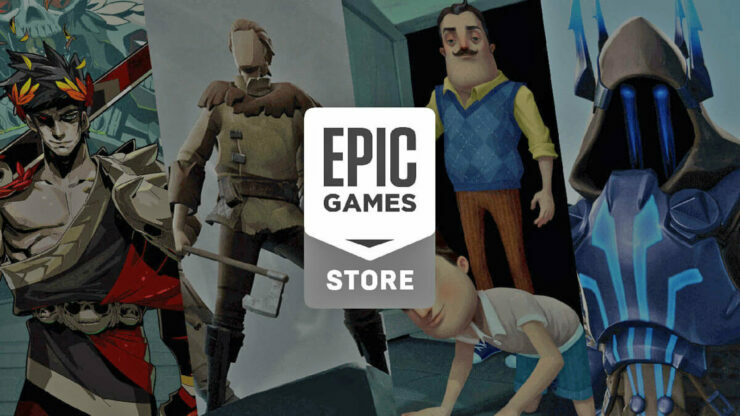 Are you okay with Epic's aggressive exclusivity bids for the Epic Games Store?